My daughter is home from school today and I thought it might be fun to pack lunch for a picnic at home (it is 24 degrees outside and way to cold to actually have a picnic outside). orange slices in our other Fit&Fresh 2 Cup Chilled Containers. It was really fun to pack lunch together and picnic in the living room. Plus, my daughter was so excited she wants the same lunch again tomorrow for school! 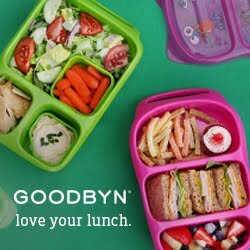 For more Fit&Fresh lunch ideas head over to my friend Kristie from Beneficial Bento! She has a great round up posted today!